How does an NFL team know if they’ve had a good draft? How does an NFL team know after the season ends if their draft that year was successful? Is there a way to evaluate if a team made good decisions regarding undrafted free agent signings? Interesting questions. Are the answers to these questions based on how many first-year make the team? How many rookies start games? How many rookies end the season with the team? How many first-year contribute in key stats, i.e., TDs, yards, sacks, etc.? Let me throw out a premise to ponder. Let’s look at how many teams had first-year players (drafted players and free agents) who started eight or more games for their team. My hypothesis is that the teams that had more rookies start eight or more games in their first year on the team the better the draft (and free agent signings). Based on this stat, the New York Jets had the best draft in 2013. 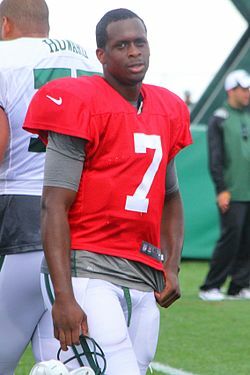 Led by second-round QB Geno Smith, who started all 16 games, the Jets had five first-year players who started eight or more games for the Jets, most in the NFL. In addition to Smith, Tommy Bohanon, Dee Milliner, Sheldon Richardson and Brian Winters, all drafted players, started eight or more games for the Jets in 2013. Taking a look at all 32 NFL teams last season, we can make a more profound statement regarding the first-year player pool in the NFL in 2013. Last season 64 first-year players started eight or more games for their team. That’s the most in NFL history. Sixty-three first-year players started eight or more games in 2011, The third highest total in this stat was in 1986 when 60 first-year players started eight or more games for their teams. In addition to the Jets having five players with eight or more starts, the New England Patriots and Tampa Bay Bucs each had four players in this category. For the Bucs, they have had the most first-year players start eight or more games in a rookie season in the last five years with 16. Following is a look at how many first-year players started eight or more games in their rookie season for each team since 2009 (the last five seasons).